Has your horse outgrown his toys and no longer wants to play ball? Such toys could help a young horse cope with change in their life, says British charity Blue Cross. It is seeking horse toys to help enrich the lives of young feral ponies being rehabilitated at its centre in Rolleston, Staffordshire. Let’s play ball! Toys such as horse balls are being sought to help entertain feral ponies from Bodmin Moor. Many of these ponies were taken in by the charity in a pitiful state of health, having been rounded up and left unclaimed on Bodmin Moor last autumn. 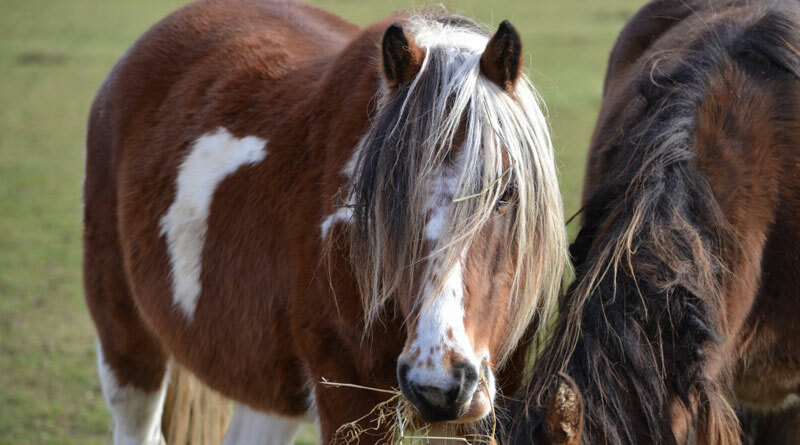 Feral ponies in the UK are used to living on unclosed moorland, mountains or heathland where they are at liberty to display their natural traits and satisfy their curious minds. Sadly for the Bodmin Moor ponies overcrowding, coupled with poor grazing, has made life very tough for them to survive in their natural environment. While domesticated horses have become accustomed to the lack of freedom and stimuli that modern domestication usually brings, feral ponies will often benefit from additional forms of enrichment to help support their mental health and development while they are being rehabilitated. Blue Cross has purpose-designed all the buildings, stables and fields at its two centres in Staffordshire and Oxfordshire to minimise stress and enhance natural behaviours as much as possible. Horses and ponies are not stabled unless for health reasons; instead fields, large crew barns and woodchip turn out areas are used and horses are kept in carefully selected groups so that they can physically interact with each other to play, mutually groom and stimulate senses such as touch and smell. For feral horses and ponies, though, this is often not enough. Tess Scott-Adams, the Rehoming Centre Manager at Rolleston explains. “With the young Bodmin ponies we have noticed that they spend a lot of time being destructive and play fighting. Less than a year ago they roamed freely across the moors, able to play in streams, and across a varied terrain of hills, woods and stony outcrops. Making the transition to a life of relative confinement is hard for them, no matter the excellent quality of the environment we are able to provide here at Blue Cross. Providing them with additional enrichment in the form of horse toys gives them something else to interact with and helps stimulate their inquisitive minds. Blue Cross is appealing for horse toys such as play balls, mouthing fence toys and also scratching mats. Treat-based toys would not be appropriate as these ponies, as with all Blue Cross horses are fed a careful fibre-based diet, low in starch and sugar. To find out more about supporting Blue Cross, or giving a Bodmin pony a home, visit www.bluecross.org.uk.